Paula Cademartory Faye handbag is one of the iconic bags of the designer, named after the actress Faye Dunaway. It is a super comfortable bag, very roomy and with different, well organized, pockets. It has a handle and also a detachable shoulder strap, it's made in buttery soft leather and finished with the signature silver buckle that is also part of the Paula Cademartori logo. The colors of this Faye bag make it perfect for all seasons, it has a mixture of black, light blue and a dark coral. In this outfit, I wore it with a floral print blue H&M sweatshirt, yellow Zara culottes - a kind of pants I love, that keeps being a hot trend also for Fall/Winter and a pair of lace-ups I love because they have the severity of a pair of men shoes with a flirty glitter fringe in blue. I added Chanel Vibrato nail polish, a necklace with tassels bought and Sophia Loren Dolce & Gabbana lipstick. 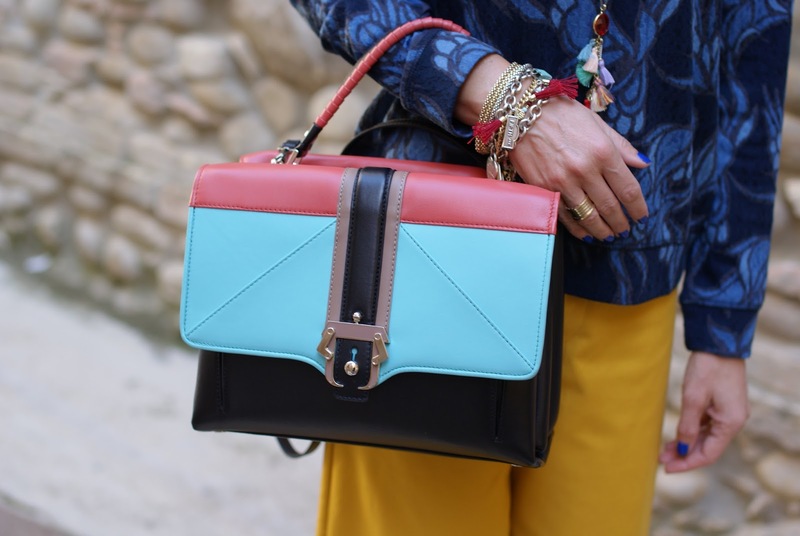 Faye bag, Petite Faye bag and Dun Dun are among the most popular and beautiful Paula Cademartori bags, they gained themselves a place among the best it-bags. I feel like saying thank you to my fashion blogger collegue Dania, who has a wide collection of these handbags, both for her spontaneous, kind offer of support to my Cademartori madness, and for having reassured me that these bags are going to grow their value with time, another reason to be super happy about my Faye handbag (and her little sister...ops ! But this is another story I am gonna tell you in another post ;)). Such a unique, fun, perfectly kitchy and chic outfit! This bag is pure perfection, the colors, design, shape... Everything has been so well thought of and is such a statement piece. le scarpe sono troppo belle!!!! la bora è meravigliosa, i colori che hai utilizzato magnifici..
Tesoro che bella sorpresa ti ha fatto tuo marito! Tra l altro ottima scelta sia per i colori, sempre attuali, che per la grandezza..
Sono tanto tanto felice per te. E' splendida questa borsa, bellissima davvero!!! Aaa che bella, mi piace la combinazione di colori, e mi piacciono tantissimo anche le stringate! E' splendida. Io ne desidero una da molto tempo e capisco la tua felicità. Hai scelto proprio bene! You look so fabulous. I love everything about this look. Ma che marito d'oro che hai!!! Bellissima questa borsa! Molto bello anche il rossetto Sophia, e soprattutto Vibrato, che ha una nuance decisamente adorabile!!! Bellissima Vale! I pantaloni danno tantissimo carattere al look! E la borsa, beh la borsa è semplicemente stupenda! Caspita che bel regalo Vale! Amo le sue borse! Un bacione cara! Vale sei favolosa con questi pantaloni coulotte senape e le stringate. Un outfit che ti dona tanto quanto le gonne anni '50 che mi piacciono tanto. Bellissimo l'accostamente con il maglioncino con la stampa blu e la borsa, immagino quanto gradito regalo, è il giusto e perfettamente combinato accessorio. Non potevi abbinarlo meglio e non potresti essere più chic. La borsa è splendida ma le scarpe non sono da meno!!! Un look de tendencia total!!! !Me encanta la combinación de mostaza y Azul!!! El bolso es maravilloso y muy original!!!! Que linda eres!!! Estás monísima con este look sporty y esas zapatillas tan chulas!!!!! El sueter es ideal!!! Oddio, Vale! E' troppo bella quella borsaaaaaaaa! E naturalmente mi piace tantissimo anche il tuo look (soprattutto le tue scarpe), ma questo era scontato, non sbagli mai un colpo! Come stanno le culottes a te.... sprizzi glamour da tutti i pori è quella Cademartori te la rubo!!!! Hai capito che bravo il marito!! Bellissima la tua nuova Cademartori Vale, una meraviglia! Precioso look, Vale!!! La combinación de colores resulta súper valiente y me encanta!!! Adoro blusa, borsa e scarpe!!!!!!! Hi! Thank you so much for the comment! I really like your bloG! I'm gonna follow you on your ig and tw profiles. what a fabulous bag! I adore the colors and the shape. you look beautiful! 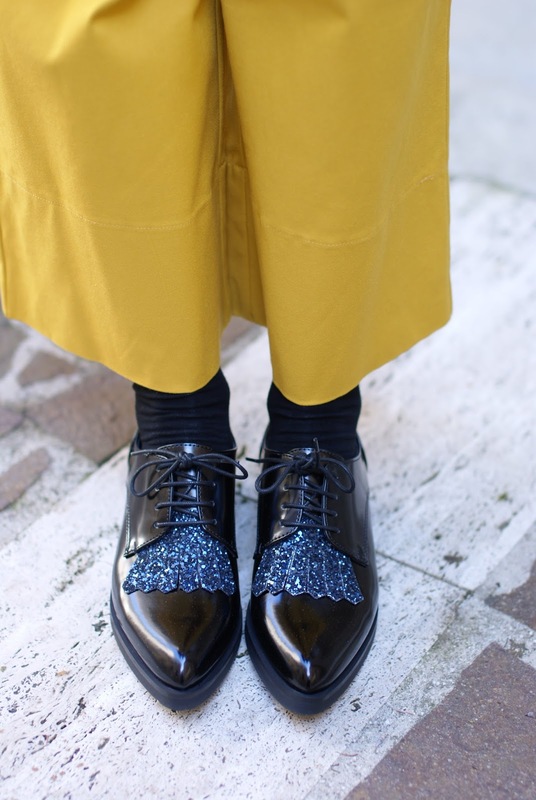 I do love Paula Cademartori bags :-) Lovely outfit, the masculine shoes with the mustard culottes look fab! 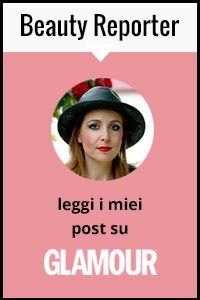 Vale quando la smetterai di postare foto di abiti e accessori favolosi?? scherzi a parte sei stupenda come sempre! Your sunglasses look like they're Prada! :) Love them. You look so chic and fabulous in this outfit. I'm loving your shoes and pants, too. Che bravo maritino! Oltre alla borsa, adoro culottes e stringate! La borsa è splendida, davvero un'ottima scelta e mi piace da morire il contrasto con i pantaloni senape... un look tres chic!! Lovely colours on that bag! Ahahahahaha, chissà che colpo ha preso tuo marito quando volevi comprare un'altra borsa! :D è bellissima questa Vale, e ti sta troppo bene, belli anche i pantaloni! Beautiful bag I love it. Your outfit is really cute too. What a fun and unique bag! Looks very functional too! You really look like a fashionista! adoro il giallo! belissimi i pantaloni...carinissime le scarpe....un look perfetto! Love the mix of colours, so pretty! Sto facendo vedere le tue scarpe alle colleghe in ufficio.. stai divinamente!! love this outfit! so bright. A new handbag always puts a smile on my face too! Such a pretty and unique one with the colors. Bellissima e perfetta persino fino alla manicure! Adoro questo mix di colori Vale, e questo stile un po Tomboy! Un bacione Cara!